A new generation treatment for mature skin with clear signs of ageing and a loss of tone and freshness. Its rich, reshaping daily formula contains a mix of active ingredients inspired by the benefits of the sea and selected for their filling effect. These include, most notably, marine collagen with its 3D volumising properties, prized sea grape, which helps to moisturise, nourish, and improve the general condition of the skin, and finally extracts of broom, maritime pine and Italian lavender. The sophisticated texture is comfortable on the skin, and its highly aromatic fragrance has a well-balanced mix of relaxing notes... for a reshaped face and skin that feels young. 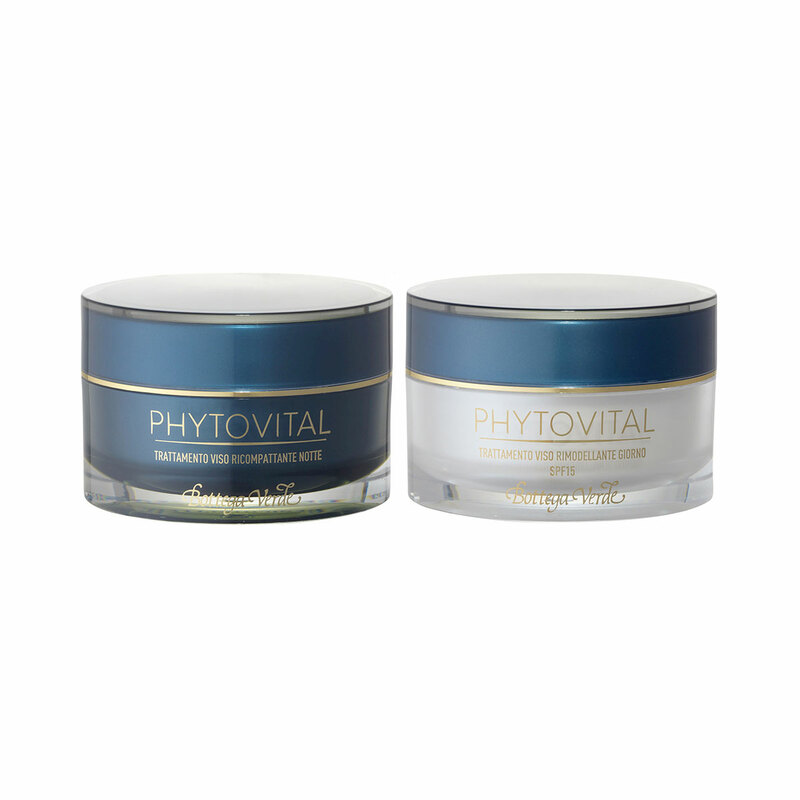 With Phytovital, active ingredients from the sea give new vitality to your look! A specific treatment for the area around your eyes, which fights signs of tiredness, loss of tone and wrinkles. Its rich formula contains a concentrated mix of select active ingredients, most notably Beautyfeye ™ , which provides a tensor effect for your eyelids and expression lines and helps to improve the look of dark circles, and broom, maritime pine and Italian lavender extracts. It also contains special pigments that reflect the light, giving the eye area a fresh and bright look... with Phytovital, active ingredients from the sea give new vitality to your look!